John A. Sukta Jr. age 50 of Merrillville passed away on Wednesday August 22, 2018 after a yearlong battle with cancer. He is survived by his parents John and Diana Sukta; twin brother Joseph (Renee); nieces Hannah and Lexi; nephew Ryan; Grandmother Lottie Sukta; Uncle Richard (Ruth) Ramsey; Aunt Barbara O’Donnell, and by his many cousins. He is also survived by his special Labrador, Libby. He was preceded in death by his grandfather’s John Sukta and De Ramsey, and by his grandmother Maude Ramsey. John was a graduate of Merrillville High School and Purdue University. He was employed by Kolver USA and previously Team Services. 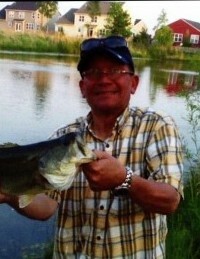 John loved fishing, trap shooting, and spending time with family and friends. He will be missed by all knew him. Friends may meet with the family on Friday August 24, 2018 from 4-8:00pm at White Funeral Home located at 921 W. 45th Ave. in Griffith, IN.